Following on from ChromeOS adventures, here are more observations. The Chromebook 550 has 4GB of ram, this should be enough for most use cases, however some web apps are very memory hungry. I have found that in general use the included Scratch pad app (for making notes which are synced to Google Drive) uses a very large chunk of memory when it is running. The new Google Keep app may improve this specific instance, I have not checked. 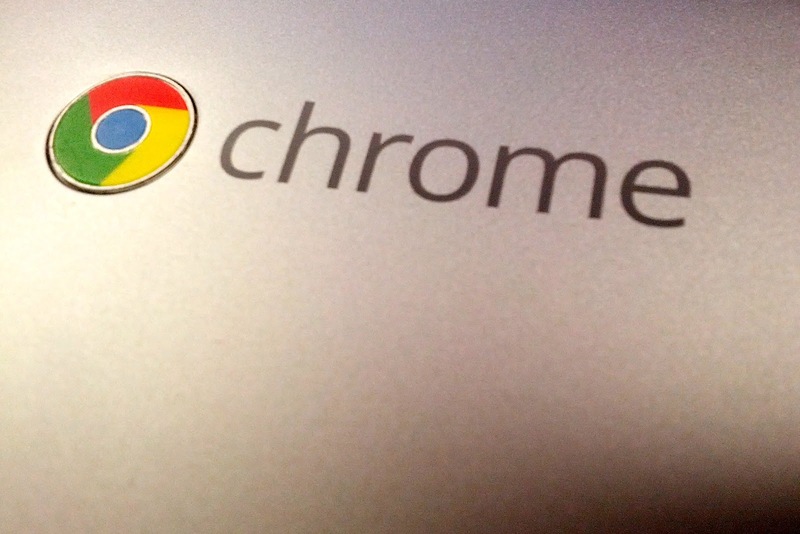 ChromeOS has a feature which attempts to recover memory when it is running low by unloading the data in unused tabs. When tabs are unloaded then the tab must be reloaded when it is selected again. This varies from mildly irritating when having to wait for the page to refresh, to downright infuriating when the tab is a SSH session from which you have logged into a few different servers and have a shell application running, in this case you end up having to start all over again. I can see this becoming a bigger issue, especially as native apps become more popular. The new Chromebook Pixel should have a better time of it, having more memory, but the potential for native apps to use more memory will increase with the release of the new, more powerful machine. The root cause needs to be addressed with at least some tabs being protected from a forced reload. Enrollment is tied to the account which was used to enroll the devices, if that account is deleted then the enrollments are lost. There is no way I could see in the Admin control panel to list which account has been used to enroll a particular device, or to see which devices a particular account has enrolled. If devices are manually enrolled, as is the case with our test devices given that auto enrollment failed to work, then the administrator makes the decision as to which account is used. It would make sense to use a role account in this case, however, if we had a large number of devices then I would not want to be enrolling them all manually. If devices are automatically enrolled, then the first account to log into the device would be the enrolling account. This could be anybody in the organisation but would probably either be the person to which the device was assigned, or, in the case of pool devices, could be anybody in the organisation. This could be a problem from an asset management standpoint. Devices can be locked down such that only accounts from the organisation can be used, however, for our enterprise environment this poses a problem. We have 2 Google Apps domains, one for staff and the other for students. This was a limitation of Google Apps when we adopted, and unfortunately, is now something we are stuck with despite there being a solution for this now in Apps. This adds complexity to the auto enrollment scenario and is something which would require some thought and some discussion to overcome. As mentioned in part 1, the Chromebook battery life is very good, a single charge lasts most of the day with only minor recharge stops. A couple of times now I have closed the Chromebook and returned to it a day or so later to find the battery completely drained, the problem is that closing the lid puts the device into sleep mode, it does not power it off completely. In ChromeOS the 2 modes are not distinguished very well, some of the documentation even refers to "turning off" the device by closing the lid. Other people seem to be having the same problem as documented, for example here and here. This is more of a user education problem, from now on I will try and power off with the power button when I know I will be leaving the device unused for an extended period of time. It only adds a few seconds delay to start up and all sessions are remembered by Chrome. Can a ChromeOS device replace an existing laptop? at this point probably not, but it's getting close. The Chromebook Pixel has a tagline of "For what's next", which would suggest that Google has plans (when does Google ever not have plans? ), there are many rumors posted elsewhere so I'll leave prediction as an exercise for the reader and for other bloggers. Availability of accessories, such as extra power bricks. Desktop docking, in an enterprise situation this is very important, and it should connect to at least 2 monitors. Power users desktop apps, things like Photoshop, Lightroom, and Final Cut Pro. Yes, there are cloud applications which do similar things, but for those who need professional features the desktop apps still outclass the cloud apps many times over. It's going to be an exciting time when what's next becomes what's here, but we can only wait and see.